Some of my favorite DIYs are ones that pop into my brain as I’m wandering around Home Depot. 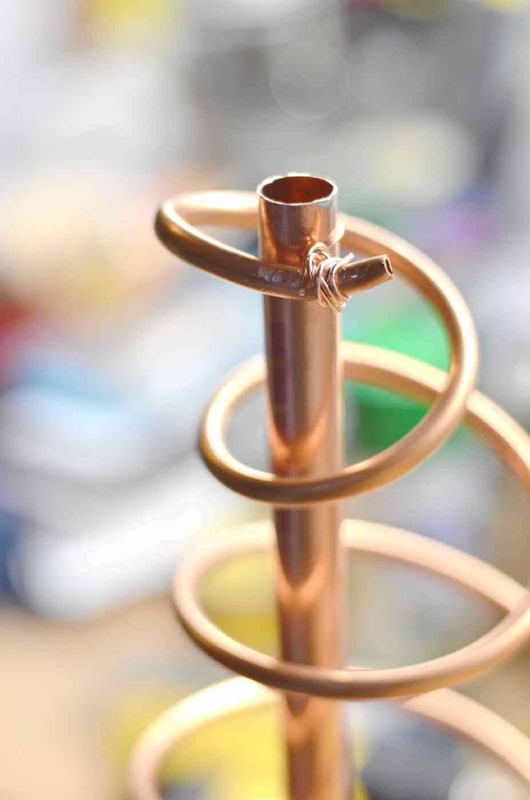 (good times, folks)… last December, I noticed this coil of copper refrigerator tubing and my copper-loving heart needed to find a way to use it for a project. I shared this over at Classy Clutter, but never got around to showing the details here! 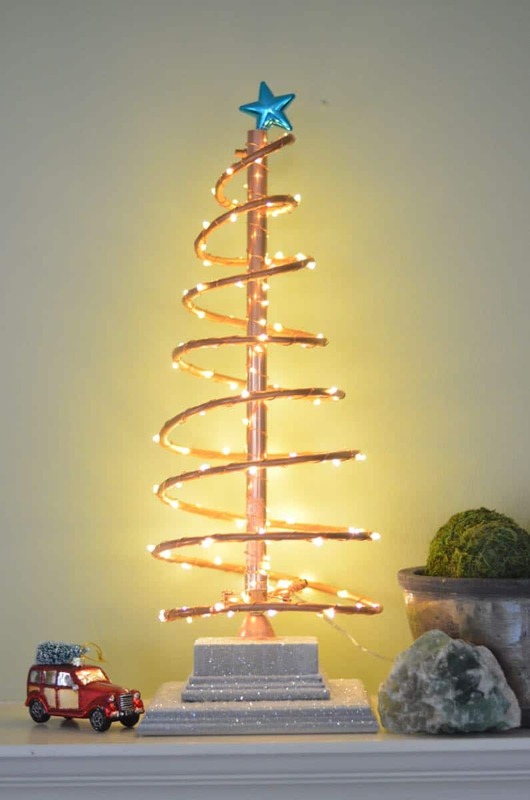 This is one of my FAVORITES: spiral copper Christmas tree, anyone? 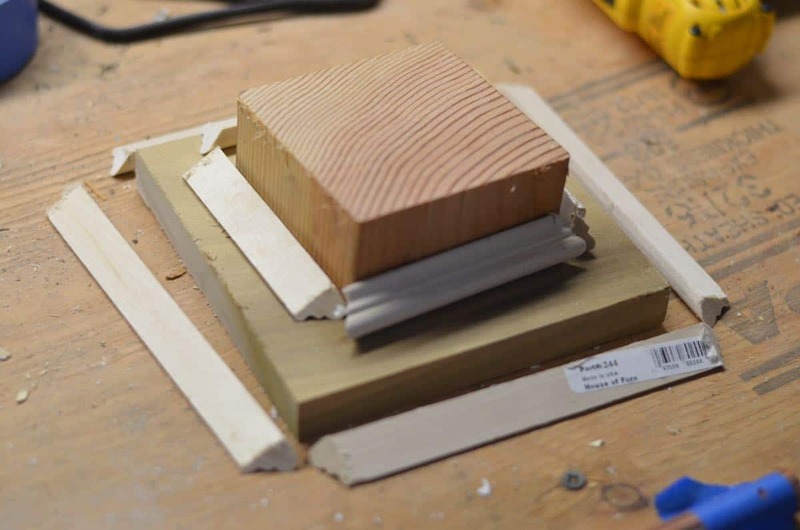 To secure the tree ‘trunk’ to the base, I used this elbow joint and a van hanger… if you can’t find these specific pieces, you could just get a 3/4″ drill bit and drill a hole in the base to stick the copper pipe into. 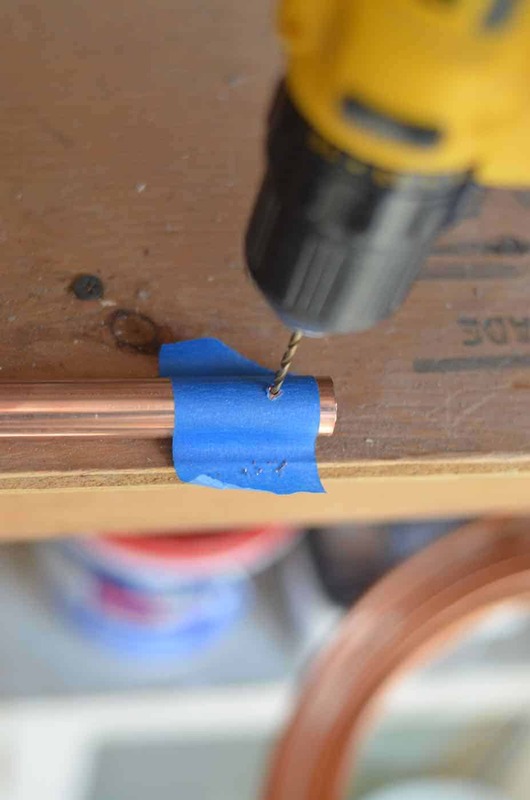 Before you attach the pipe ‘trunk’ you’ll need to drill a hole through the top of the copper pipe. I clamped the pipe to the workbench and wrapped it with painter’s tape to give the drill bit a little something to grip. Drilling through copper’s just like drilling through anything else… just go slow and steady. 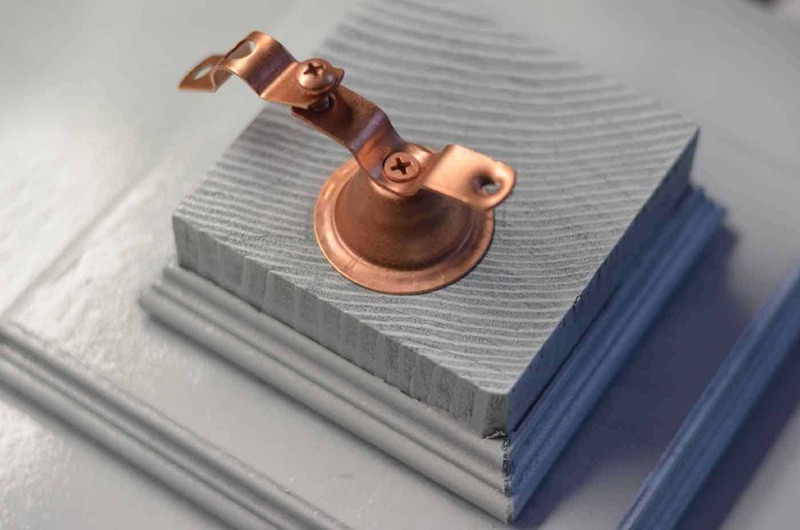 You’ll also want to drill a hole through either end of the copper coil. 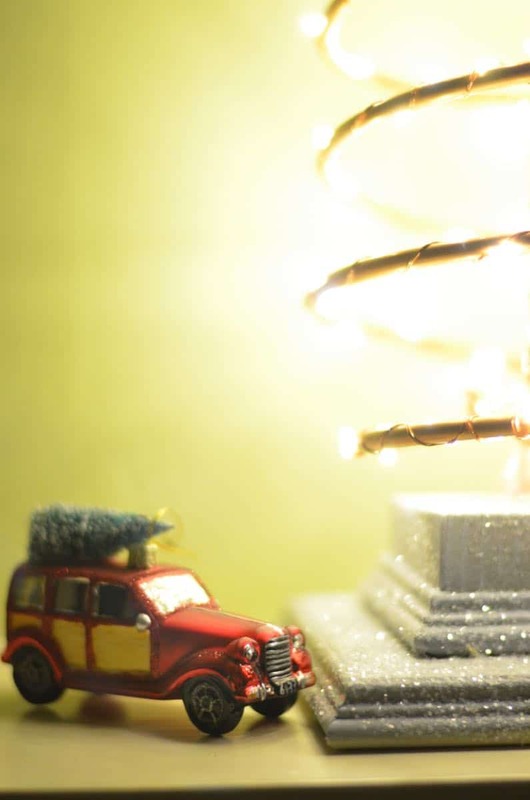 Time to assemble your tree! 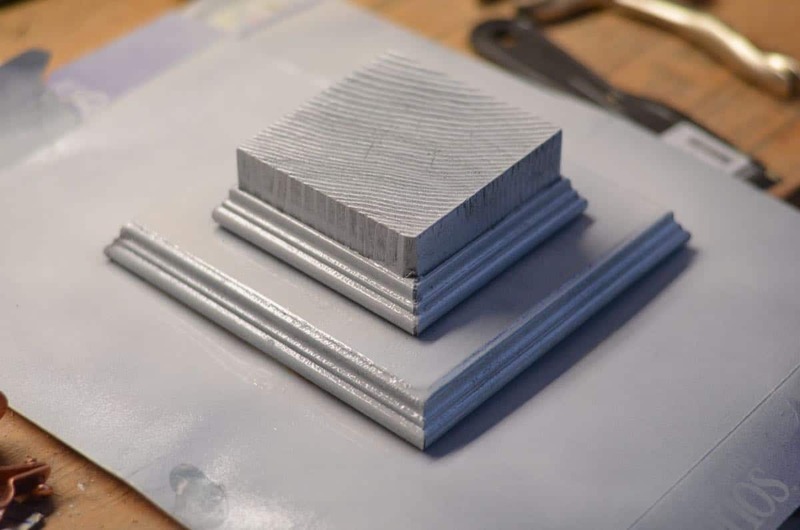 You’ll need some copper wire. At our Home Depot it’s with all the picture framing stuff in the hardware aisle. For the bottom, wrap your wire around one of the screws on the pipe clamp, then thread it through the coil and tie it off. For the top, thread it through the pipe trunk and then through the coil and wind it around as neatly as you can. The coil is pretty much tree shaped as is, but take a little time to tighten up the top and stretch out the bottom… honestly, this took 3 minutes… I had this sweet little star ornament in my stash and it works perfectly resting in the pipe at the top of the tree! I also decided that the gray base was a little too… flat, so I went over it with some Mod Podge and sprinkled some white glitter on top. 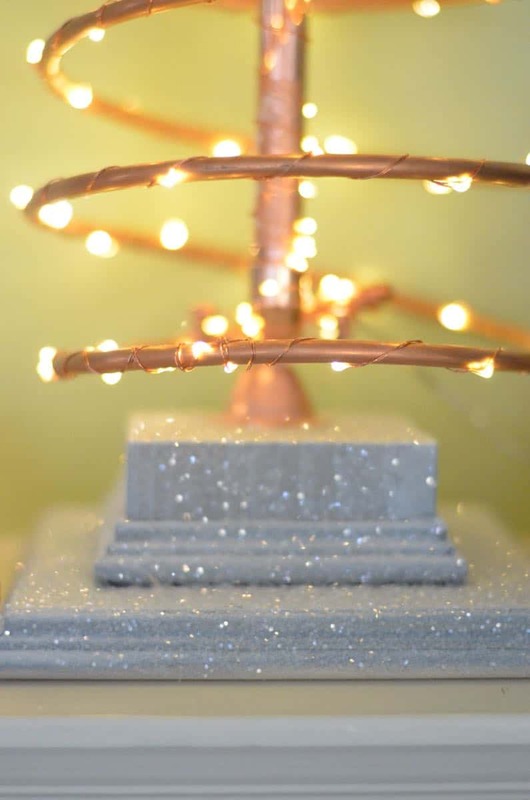 Glitter makes everything better, right? 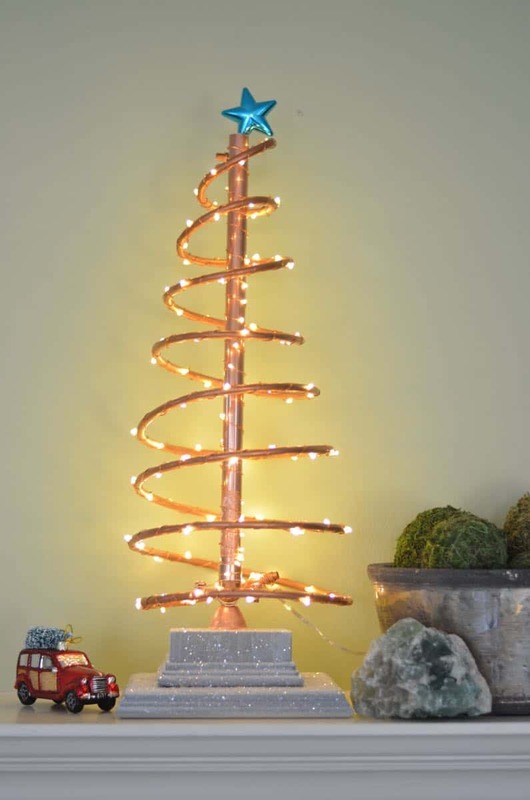 I LOVE the way this came out and would love to make more… a whole grove of industrial copper Christmas trees. 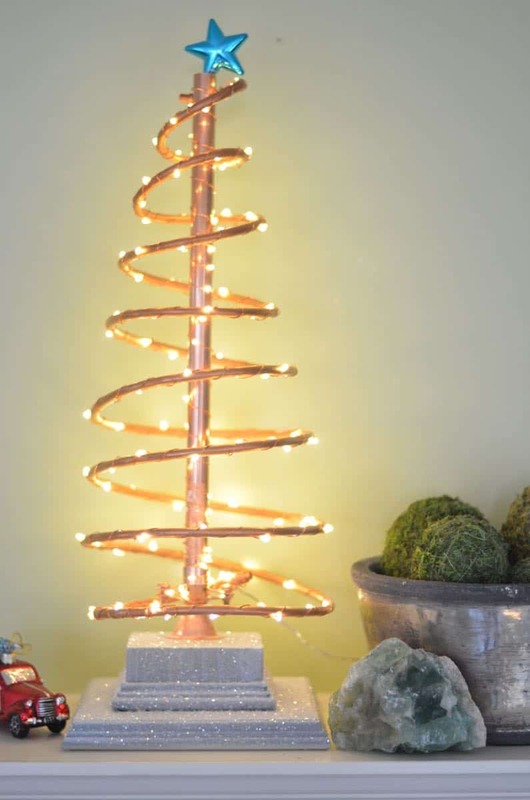 These LED copper lights come in all sorts of colors, so that might be a nice way to add some variety too! 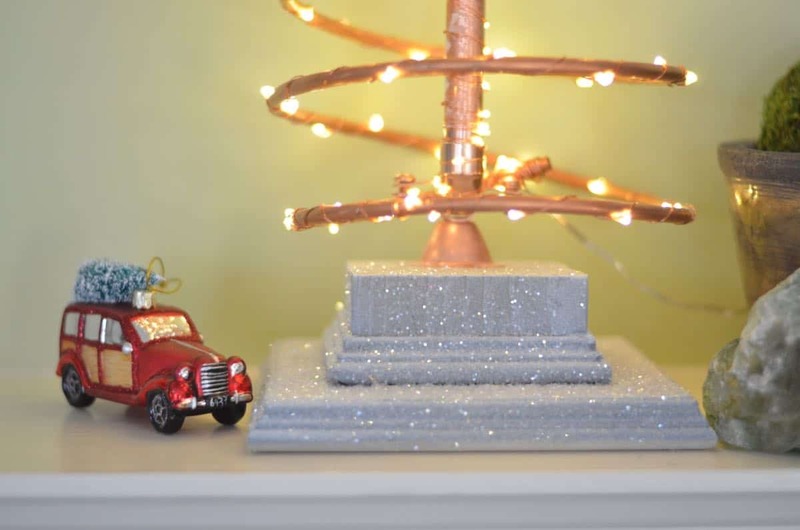 Tune in on Thursday for another hardware store Christmas tree idea! Who needs a craft store when you have Home Depot? HAHA! Yes! Maybe… 🙂 That would be SUPER cool… makes me want to get some of that copper oxidizer just to see! Dude. This is AWESOME. I’m going to raid my Dad’s plumbing stash for some copper now! HAHA. I know, right?! I’d like to make 4 or 12 of them and have them all over my house!